Francesco Cavaliere was born in Rome, Italy on 23.04.1971. He graduated in Law with first class honours from the University of Rome La Sapienza in 1994. 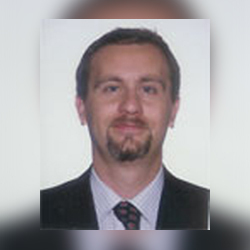 He was admitted to practice as an Avvocato in Italy in 1998 and as a Solicitor in England and Wales in 2001 although he currently practices in Italy in his sole capacity as an Italian Avvocato. Francesco’s main areas of practice include: Company Law, European Union Law, Commercial Litigation, Commercial Contracts, IT and Computer Law, Debt Collection and Bankruptcy. Over the past few years Francesco has attended courses and seminars on international legal matters in various universities and institutions, including the London School of Economics and Political Science in London, The College of Law in London, the Boston University, in Boston, Massachusetts, the University Institute of European Studies and the International Labour Organization, both in Turin, Italy. From September 1999 to March 2000 Francesco joined as a visiting attorney the London office of the international law firm Coudert Brothers, assisting the resident attorneys with corporate and finance matters relating to Italy and Italian Law.